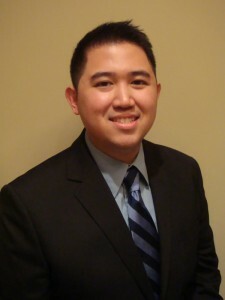 Dr. Jason Chao hails from Oklahoma City, Oklahoma. After completing his undergraduate biology studies at Tufts University, he went on to attain his DMD degree from the Tufts University School of Dental Medicine. Following dental school, Dr. Chao completed a successful residency in the Lutheran Medical Center in Brooklyn, New York, where he was the recipient of the prestigious Resident of the Year Award. After working for several years in Taunton and Revere, Dr. Chao is thrilled to bring his passion for dentistry to the Middleton community! He is truly dedicated to providing each patient with excellent dental service while using the most up-to-date techniques. Dr. Chao attends multiple Continuing Education courses each year so that he can continue to offer his patients advanced care. Dr. Chao and his entire Middleton Family Dental staff are excited to serve the community, and we look forward to getting to know you and your family!